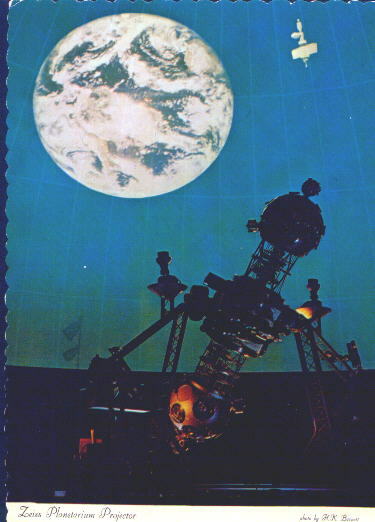 SpaceWatchtower: Thur. NASA Orion Launch Scrubbed; Next Try Fri. 7:05 a.m.
Thur. NASA Orion Launch Scrubbed; Next Try Fri. 7:05 a.m.
Thursday's (December 4) attempt to launch NASA's new Orion Deep-Space Vehicle was scrubbed just minutes before the launch window closed at 9:44 a.m. EST / 14:44 UTC. The launch had been originally delayed for most of the two and a-half hour launch window by high ground winds that the space agency had felt were unacceptable for this first flight. However, a new problem cropped-up with United Launch Alliance's Delta IV Heavy rocket. The issue related to fill and drain valves on the rocket. NASA could not troubleshoot the problem before the launch window for Thursday expired. So, the decision was made to scrub and plan for a second try Friday morning. Friday's (December 5) launch window duplicates the original Thursday window. The launch window opens at 7:05 a.m. EST / 12:05 UTC and continues until 9:44 a.m. EST / 14:44 UTC. The splash-down in the Pacific Ocean west of Baja California would be at 11:29 a.m. EST / 16:29 UTC, assuming the launch occurs at 7:05; otherwise, the splash-down would be delayed by a time similar to the delay in launch. At NASA's Noon news conference from the Kennedy Space Center, they mentioned that should Friday's launch be scrubbed, the launch would have to be rescheduled later in December. Although, there is a possibility they could decide to skip Friday and make the second attempt on Saturday (December 6). However, as of this writing, they continue to be confident that weather conditions and the rocket will be ready for a second launch attempt on Friday. NASA Television, via both satellite channels and Internet web-casts, will carry live coverage of the launch and mission, beginning at 6:00 a.m. EST / 11:00 UTC on Friday. In south suburban Pittsburgh, live coverage of this first test flight, via the live Internet web-cast from NASA, will be shown free-of-charge to the public, at the Mt. Lebanon Public Library which is located at 16 Castle Shannon Boulevard near Washington Road at the southern end of the Mt. Lebanon Uptown business district. The Library's coverage will run from the opening of the Library at 9:00 a.m. to approximately 12:30 p.m. EST and will occur in Study Room 1 on the Library's upper level. This special event is co-sponsored by Friends of the Zeiss and the Mt. Lebanon Public Library.